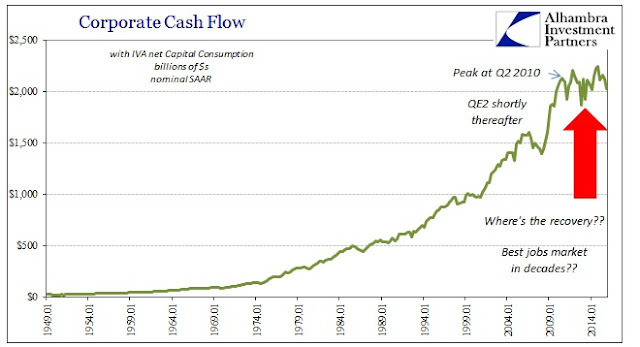 The “final” estimate for Q4 GDP was uninteresting save the update to corporate profits and cash flow. The upward revision to 1.4% wasn’t really any different than the preliminary or advance estimates, and since 12% of it was simply a guess by the BEA it doesn’t amount to a whole lot of solid analysis especially when in conflict with so many other accounts. I would argue that the only method keeping GDP positive is its increasingly tenuous deference to that 12%. 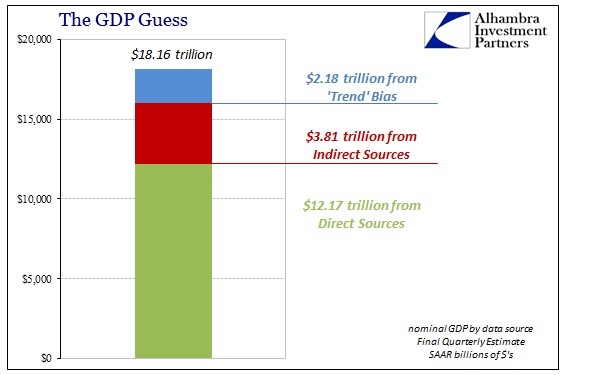 While that results in 2015 average GDP almost exactly matching the disappointment of 2014 (the averages calculate out to 2.428% for 2014 and 2.426% for 2015), it would only take an overstatement in the “trend” component of $60 billion out of the $2.2 trillion to turn GDP negative for Q4. All that, however, is just splitting hairs in trying to determine the exact slope of what increasingly looks like at the very least structural reversion. 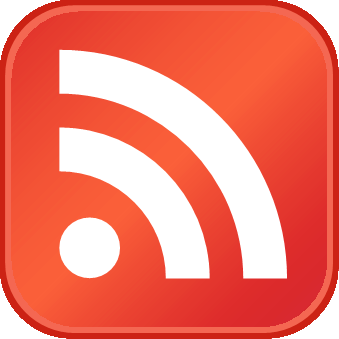 While that much has become quite apparent in especially consumer spending indications, it is at least as much on the corporate side if not more so. 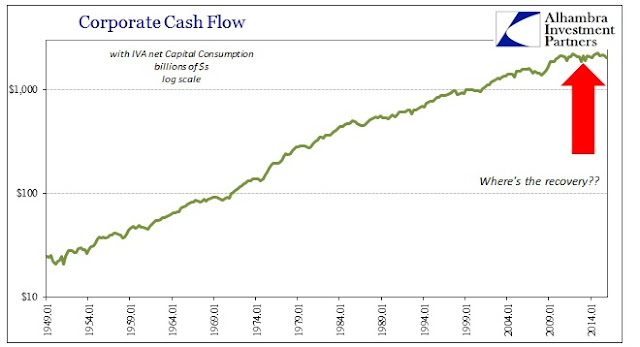 The updates for corporate profits and cash flow were just that kind of alarming in their declines. Thus, once again we see the mix of structural change matched with the sort of cyclicality that suggests recession combined with negative trend or potential. 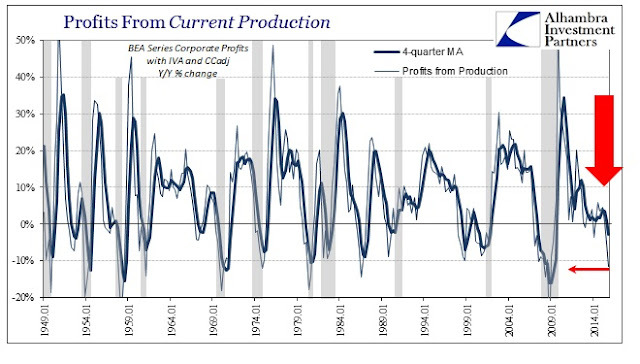 Profits from current production (the GDP equivalent of operating earnings; Corporate Profits with Inventory Valuation Adjustment and Capital Consumption Adjustment) dropped by 11.5% in Q4. That decline follows the rather large 5.1% contraction in Q3, and was the largest by far since Q3 2008. The 4-quarter average is now negative (at -2.9%) for the first time since the Great Recession ended. There is only one “false positive” when profits decline by such a large amount, the near recession in 1986-87, though the mess after the Asian flu and during the worst of the dot-com bubble might qualify. In any case, hugely negative profit growth is far more recession warning than not. 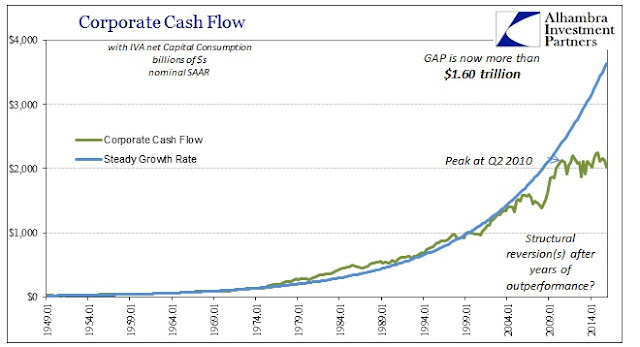 That point is affirmed by corporate cash flow, which also declined by a large proportion. 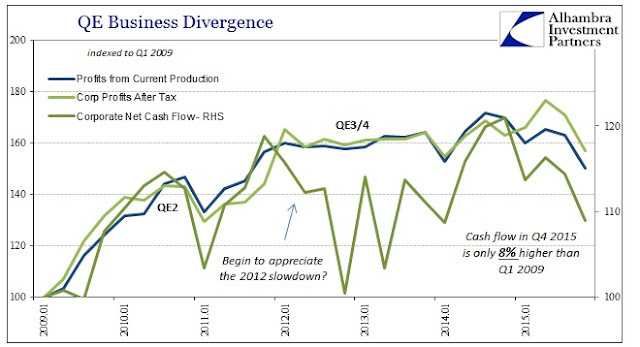 At -10%, it wasn’t the largest contraction in the cycle, merely continuing the highly unusual and volatile economic pattern dating back to the events in 2011. 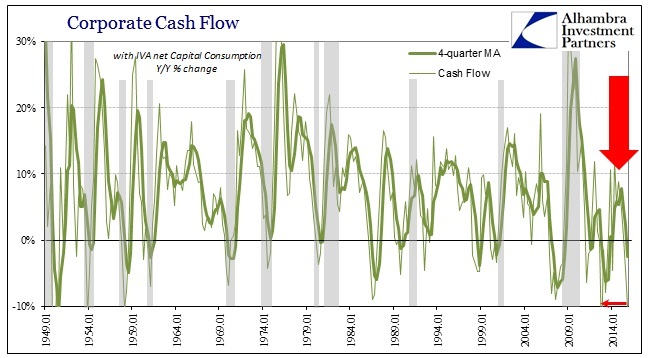 “Something” has been wrong with cash flow growth since that point and likely contributed to the 2012 slowdown and sustained weakness thereafter. What was rather steady growth dating all the way back to 1948 and the inception of the series has suddenly found no more. This shift is absolutely clear when plotted in nominal terms, as what should be geometric progression has instead turned to flat-line and sideways. 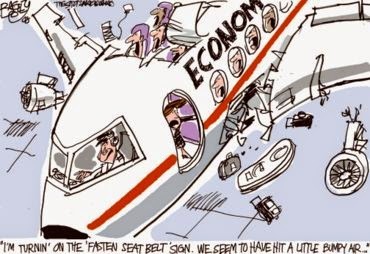 Not only is there no historical precedence for this, it does not indicate anything good about the recovery as it again corroborates not just the slowdown but also perhaps why it has “felt” recessionary throughout even though it has not been considered one (yet). After a dramatic restart in corporate cash flow (and profits) that nearly resurrected the former trend once businesses in 2008 and 2009 fired so many workers, since 2011 cash flow and profits have not followed any growth path at all. The accumulation of time in that position has led now to a cash flow shortfall of more than $1.60 trillion and remarkable statistical dichotomies (particularly with labor statistics). 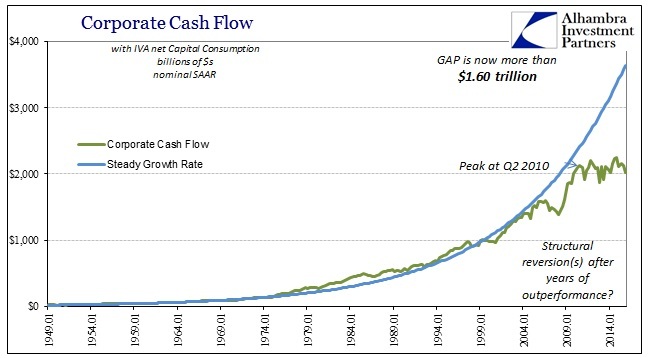 Despite this obvious and curious deficiency in profits and cash flow, the BLS still suggests that corporate America is hiring at a historic rate even though it doesn’t make sense in terms of profits, and produces an equally puzzling “zero productivity” balancing factor between its statistics and the BEA’s coverage. 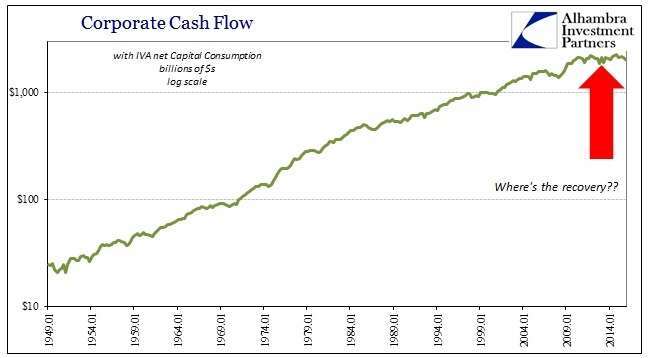 Since Q1 2009 (which was not the trough), the BEA estimates that corporate cash flow is up less than 9% total – not per quarter. 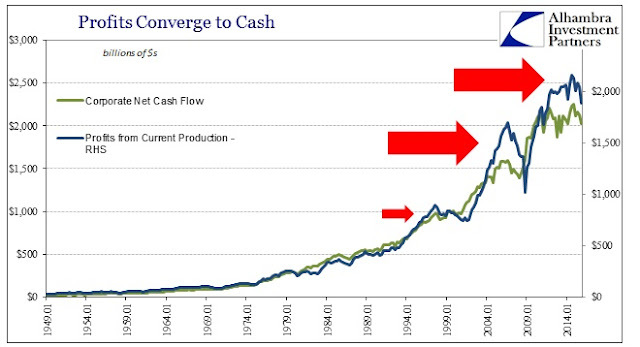 Since Q2 2010 and the start of QE2, cash flow is down 5%; profits from current production are up just 4% total during the same timeframe. Those results conform to an economy under continuous, structural pressures and not anything like the “best jobs market in decades.” Further, given the obvious turn in corporate fortunes during the “rising dollar” period, the indications are again quite similar to consumer spending accounts that increasingly add historical oddities or reversions to more “cyclicality” to suggest both recession and the continued downward economic baseline or trend – other than temporary economic impairment of variable pressures. That leaves the corporate view of the economy through GDP to be again somewhat indicative of recession but much more than that. 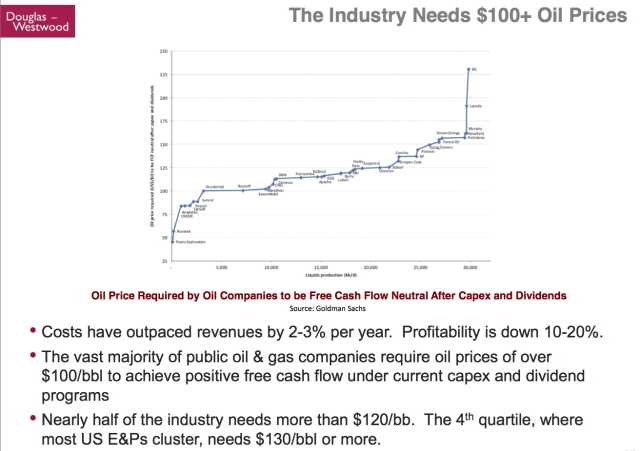 Despite the repeated attempts at debt-based or monetary-driven artificiality, the estimates of operating profits and cash flow suggest an end or at least succinct change and inflection to those effects. 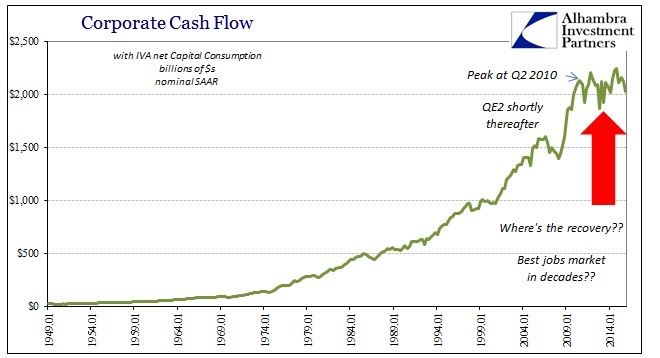 There is no recovery at all, as that would look far more like the geometric progression that was for more than a half a century completely stable – but now “somehow” is not. That doesn’t immediately present recession, however, as once more this is unprecedented data (matching the more general sense of circumstances), though in the end it may suggest something worse and still not disqualifying the increasing possibility.